Temporary storage solutions. 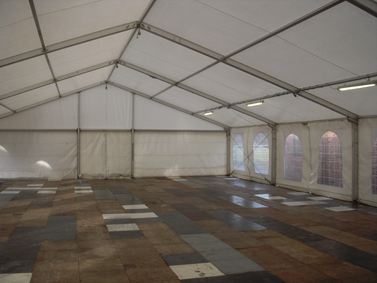 Marquees are essentially temporary buildings. They can be hired out for long or short term storage space. By nature they are modular and therefore we can provide a storage solution that expands or contracts with your needs. We've provided temporary storage facilities for customers who were moving premises, needed to accommodate extra stock and of course, to cater for the run-up to Christmas.